Bamboo, the Asian water monitor, has been safely found after escaping from his owner’s home three months ago. 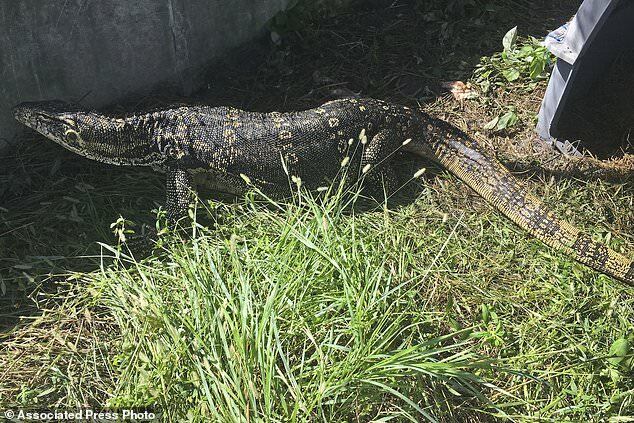 Florida authorities caught the massive reptile that has terrified residents of a suburban Miami neighborhood since August. The Florida Fish and Wildlife Conservation Commission said Thursday that Bamboo measures more than eight feet long. Bamboo escaped from his home in August in a Davie neighborhood. Residents said it lurked in their backyards and scratched at their patio doors. 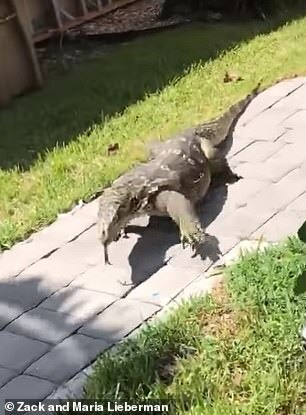 One couple captured the beast on camera as it walked around in their backyard. 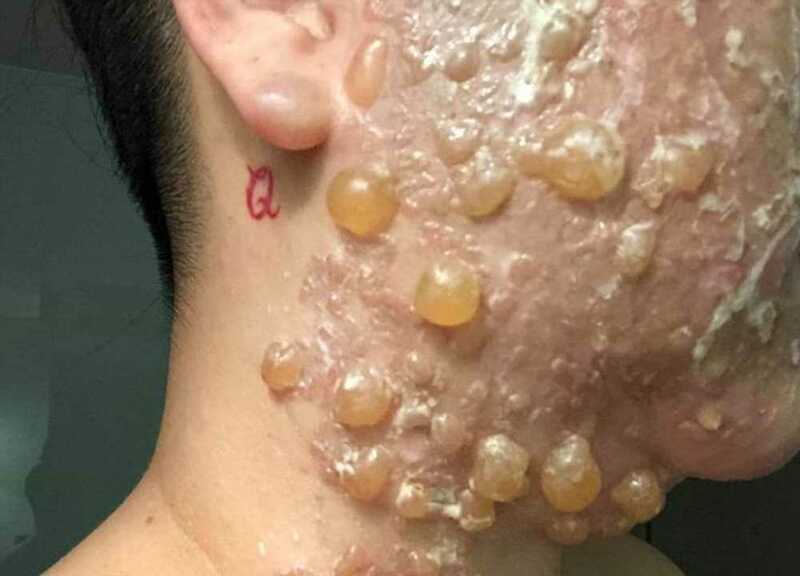 Zack Lieberman and his wife Maria were the first to spot the rogue reptile in August. At one point in the video, Bamboo is seen walking toward the couple before turning around and heading the other way. Bamboo’s owner actually lives about half a mile away from the Lieberman family. 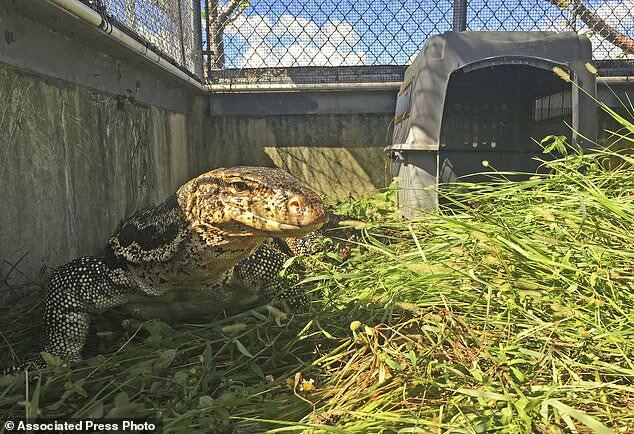 Wildlife officers and Davie police officers caught Bamboo Tuesday after getting a tip from a resident who said the lizard frequently appeared on his property around midday. 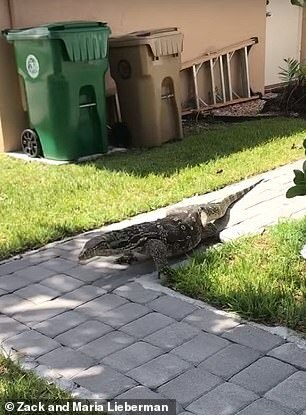 A wildlife commission statement said the lizard will be returned to its owner, who received a criminal citation for its escape. Owners must have cages to keep these lizards as pets. It’s illegal to release nonnative species in Florida.